Given the title of this post, I think the first reason should be that I am modest. I would never brag about myself like this except my friend @Pandafur (aka Pandora) tagged me on her blog. She says it’s something called an “interweb meme.” I don’t really know what that is. I suspect it is something like a computer virus and therefore not a good thing (are viruses ever good? 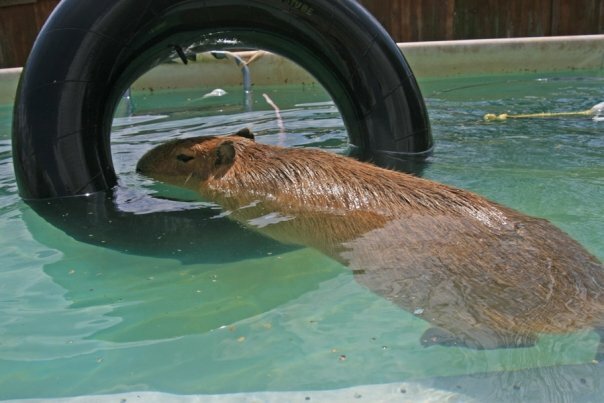 ), but what’s a capybara to do? Apparently I am infected. The parasitical meme requires me to post seven reasons why I am awesome and then to infect seven of my friends. That seems like a cruel thing to do but how can I help it if I am diseased? So here are my seven reasons I am awesome. Is it wrong of me to think that is special enough to make me awesome? 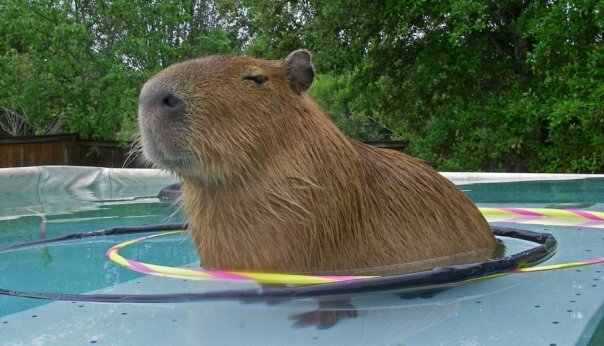 I am a pet capybara. 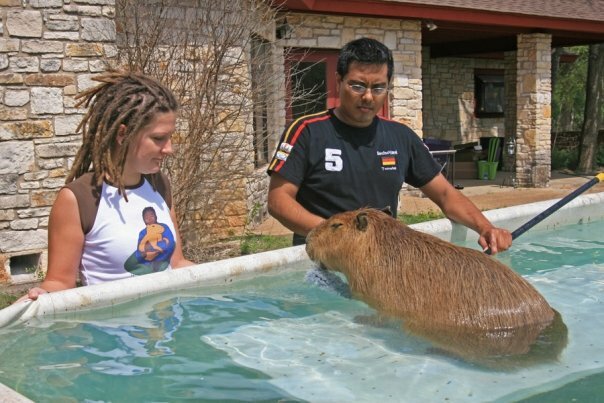 There aren’t many pet capybaras and even fewer who get to share the house with their owers. I think this qualifies as something that makes me awesome. Being a pet has its drawbacks, like having to get dressed up for Halloween. 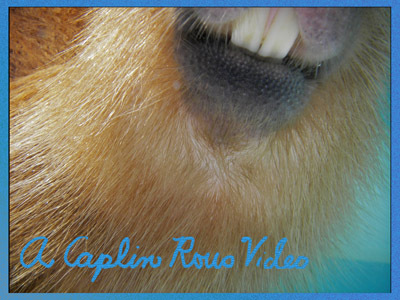 I am the only capybara in the world with my own YouTube channel. 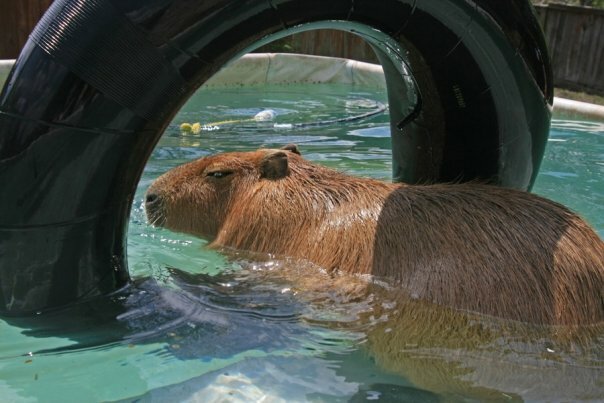 I admit there are some capybaras that live in zoos and get their videos on YouTube but I don’t think they have their own channel. 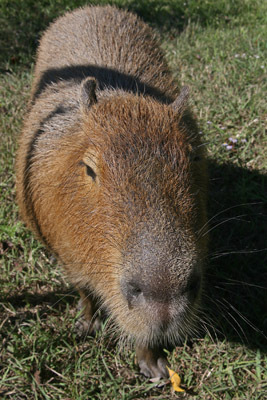 I am the only capybara with my own FaceBook and MySpace pages and my own twitter account (@CaplinRous). 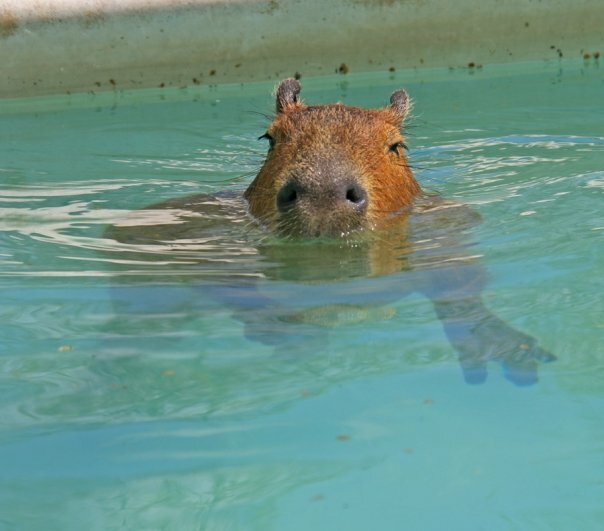 I am the only capybara with my own blog. Don’t hit that link or you’ll be in an endless loop. 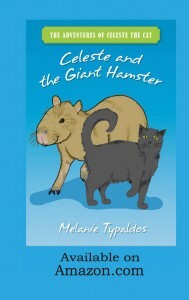 I have a book about me (sort of). I am not the only capybara with a book though. 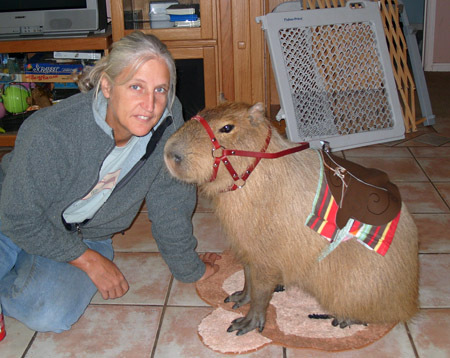 I share the honor with Capyboppy who is my biggest hero of all time. 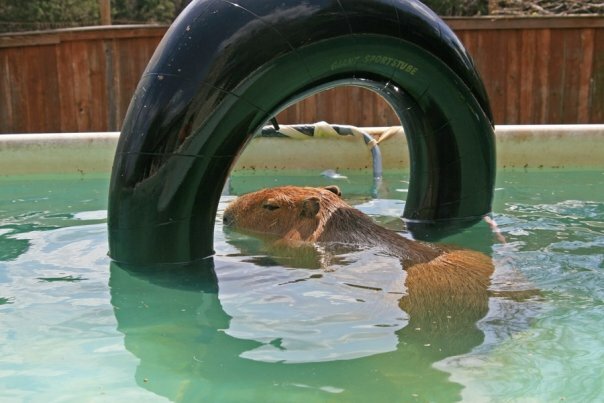 Don't you think the capybara should be in the front? 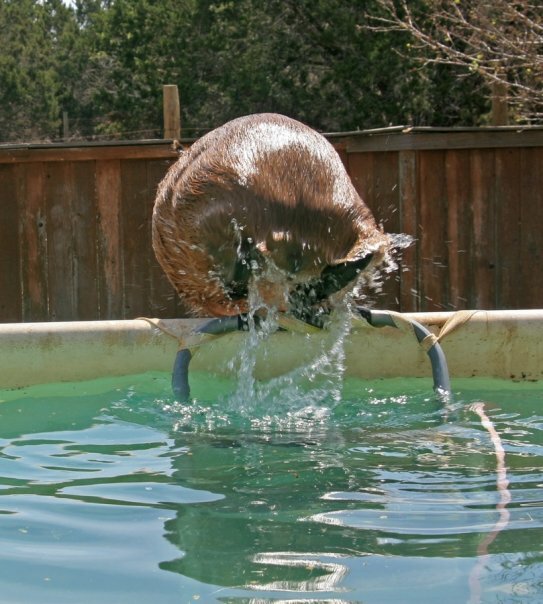 I have been on TV on Animal Planet and on the local NBC affiliate, KXAN. And I am going to be on a new show called “Smash Cuts” on CBS sometime this fall. 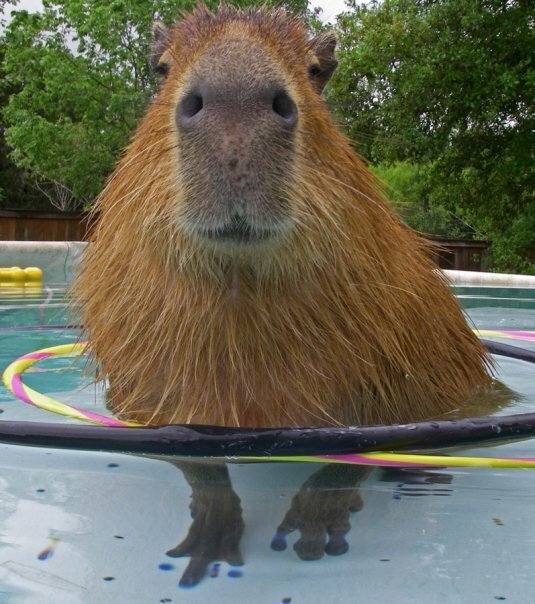 But basically, I am just like any other adorable giant rodent! Humm. Everyone else seems to be on blogspot. I am the only one with my own URL. Does that make me awesome? You be the judge!